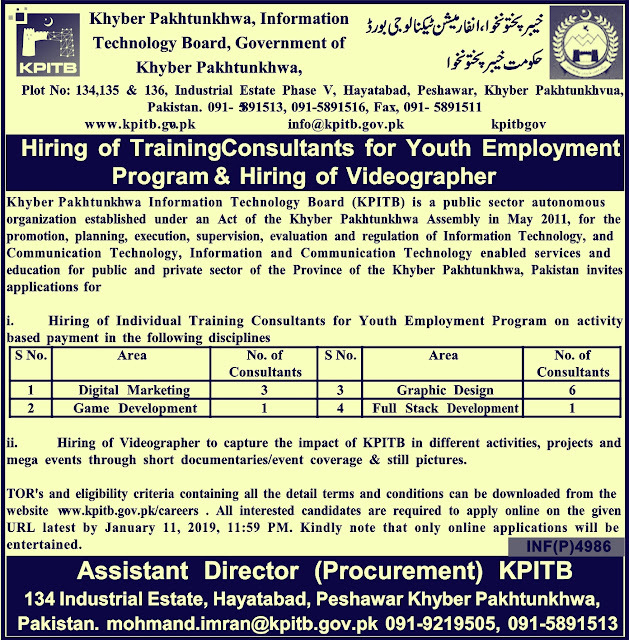 Government of Khyber Pakhtunkhwa has announced excellent jobs in information and technology.I am going to tell you in this article that in this way you will apply for a new job of Board of Information Technology.In Khyber Pakhtunkhwa, information technology board can apply both Male and Female.You must have Bachelor degree or Master Degree after applying for this job, then you will be able to apply for this job.Those who are going to apply for the Khyber Pakhtunkhwa Information Technology Board must have a 3 years of experience in the relevant field. You must have Bachelor degree or Master Degree. You can apply online KPK information on the information and technology board, click on the link below.